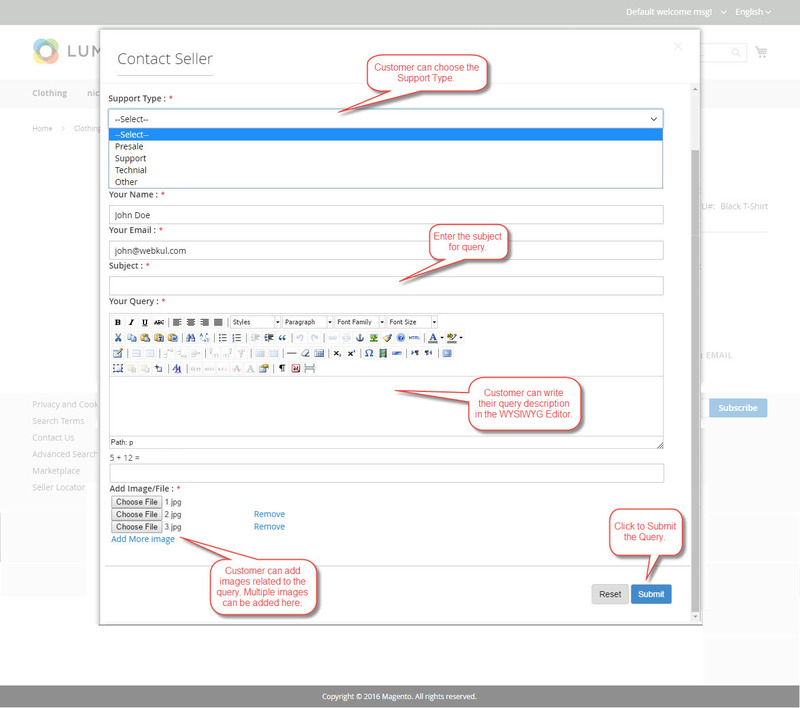 Magento 2 Marketplace Buyer Seller Communication module will allow communication between the buyer and the seller. The buyer can communicate with the seller regarding their query about a particular product and seller can respond to the same. This will be a step forward where the buyers will be able to contact the sellers and both can see their exchanged messages at their ends. Buyer-seller communication can be the best tool to manage the pre and post sales both. Pre-sales queries are more often related to product price and material. But post-sales the customer is only interested in the services like delivery date, time etc. And these can be handled well with the Buyer-Seller Communication extension. It’s obvious that the buyers are not very sure about the products and have many queries that they would like to ask before going for a purchase. Because they are buying the product online. 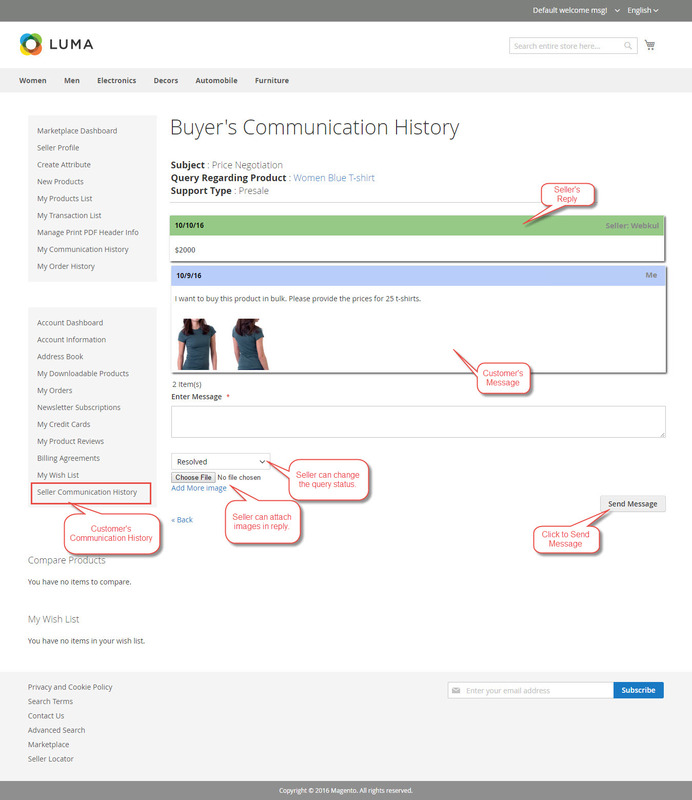 But using Magento 2 Buyer Seller Communication Marketplace Add-on, you can eliminate this communication gap between the sellers and the buyers. The buyers can directly ask the seller questions related to the product and the seller can respond to each query accordingly.